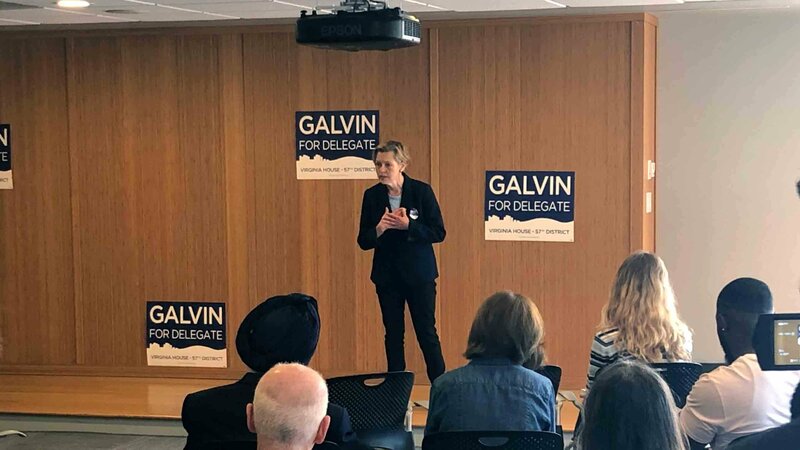 Kathy Galvin announced her candidacy for the House of Delegate’s 57th district, which includes Charlottesville and parts of Albemarle County. Charlottesville City Councilor Kathy Galvin announced she is running for a state delegate seat. Galvin is seeking the Democratic nomination for the 57th District seat. She made the announcement about an hour ago at City Space in Downtown Charlottesville. Galvin said she will fight to get more transportation funding and create a better regional transit system. The councilor wants to create a sustainable future based on renewable energy and said she will not take donations from Dominion Energy. “I&apos;m ready to now take it to the next level so that I am now a public servant for also the county as well as the city. Personally, I think that&apos;s how it always should be. We should be one community this time, I&apos;m really going to be the representative for both county residents and city residents and I&apos;m extremely excited,” said Galvin. Sally Hudson is also running for the democratic nomination. David Toscano announced he wasn&apos;t going to seek re-election last month. Galvin touched on a wide range of issues in her opening speech including protecting of the environment, inclusionary zoning that addresses the affordable housing crisis, a $15 minimum wage, universal pre-k, criminal justice reform to end mass incarceration, legalizing marijuana, and a renewed push towards commonsense gun safety.